Have you ever been praying and praying about a decision and your answer, over and over again, is "Patience"? Maybe this thing is something you want to take action on one way or the other so badly that you feel the weight in an almost physical manner? And yet...you know without a question that the best and only decision for you is to have patience? I've been blessed with the patience bug for years. Nine years ago, I wanted a new car. But I didn't feel it was right. And so goes the next nine years. So goes the questions like, "Larissa, you have a good job, get a better car?" So goes the constant reinforcement of the idea that I was a poor college student because they saw my ride. But it wasn't right. Yeah, I pray about buying cars:-) I'm big into the Big Guy like that. About three weeks ago, I started feeling, as if a light switched, "Buy a car now." I couldn't shake it. I researched and researched and researched and test drove and, you get the point. Nine years I wanted a new car and I finally bought one on Monday. The check just cleared the bank today - she's officially mine. I'll tell you all about it later. The point right now is patience. Clearly, I have an infection with the patience bug when it comes to relationships too. But I know when the time is right, I'll feel that switch flip just as I did with the car. Could you share your experiences? 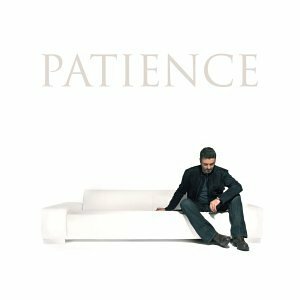 Whether it is a professional decision, moving, college, having children, or relationships...how has patience worked in your life?